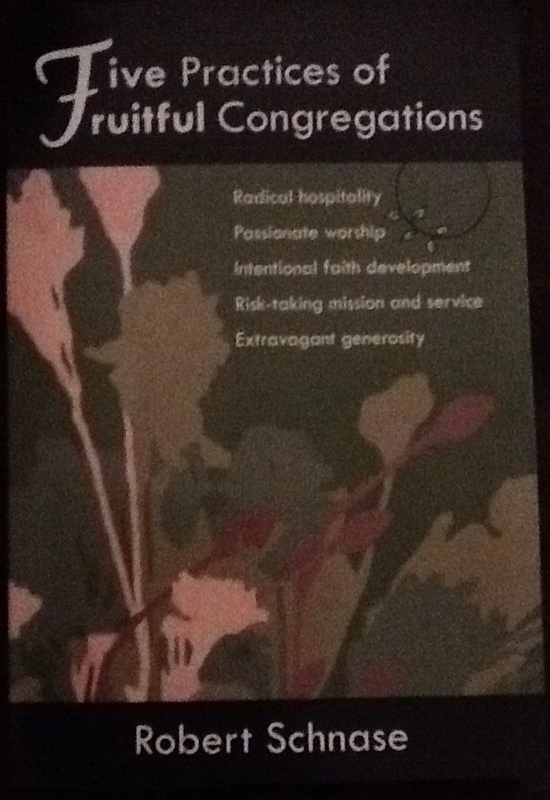 Over the last couple of weeks various people have asked me to share the contents of my Circuit Advent sermon in which we launched our Circuit year of risk-taking mission and service, based on the book by Robert Schnase “5 practices of fruitful congregations” which is a major part of our circuit five year vision. 11. Who can we serve ? Individually or as a Church/Circuit ? What will be the result of it ? Sponsored walk for water-aid, knitted blankets for various causes, angels in Uttoxeter and this year all over the circuit and so on. Never feels like much but even if one life is enhanced it's worthwhile. It's that time of year when we look back, with thanks, and look forward, with expectation. As usual the year has been a mixture of busyness, of relaxation, of joy and of hope. 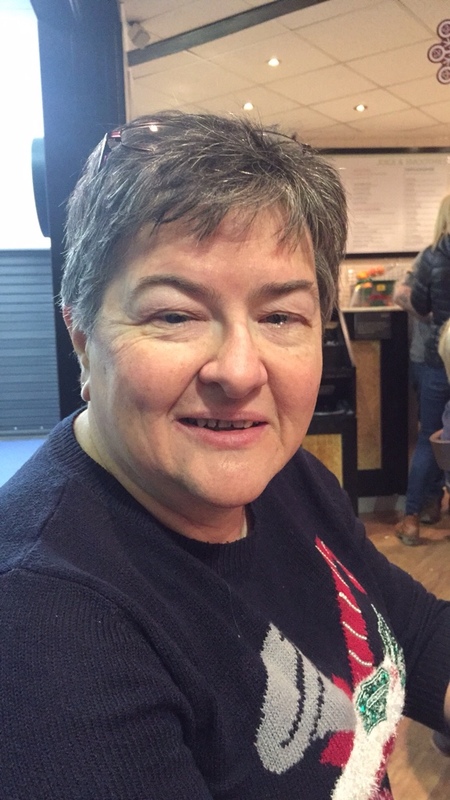 Alison eventually left her position as dementia care Chaplain for MHA, with sadness after 6 years and has now taken up a position as a part-time Stipendiary Priest for Emmanuel Parish Church, Swadlincote and she is very busy but really enjoying it. The people seem to love her enormously as well. At the moment she's involved in a heritage lottery funding application for Church restoration ! Talk about landing in the deep end. The architect is quaking at the Rottweiler the Anglican Church have unleashed on him. Alison is involved in many other initiatives as well, messy church, the local o.a.p. home, inter church events and the town clergy gatherings. She still plays an active part in her Inner Wheel club (West Ashfield) and enjoys the friendship and fellowship with people who we've now known 11 years. Mike, continues his role of Superintendent of the Trent and Dove Circuit and is very happy here. At the time of writing the Circuit are on the lookout for a new Presbyter for next Summer and so that is dominating his thinking. The Circuit are very good and caring and it is our hope that when they have to decide on our future that they'll 'put up' with us a few more years. Mike also continues in his role as Deputy Chair (joint) of District and feels it a privilege to be allowed to share in the work with Loraine Mellor (Chair) and his co-deputy Paul Worsnop. Over the summer they gave a series of workshops based on the book by Robert Schnase “5 practices of a fruitful Congregation” So well received, that it's now being rolled out across the District. Both Paul and Mike are gearing up for July onwards when Loraine becomes President of the Methodist Conference and they will be taking on more responsibility. Busy times ahead, but exciting times. Mike is exceedingly grateful for the colleagues around him who are already helping in so many ways. As well as jugglingSuperintendency and Deputy Chair, Mike has also begun his voluntary role as Junior Vice-President of Burton Rotary Club where he has made many new friends. In 2017 he will become Senior Vice-President leading to President in 2018, a role he fulfilled in 2010 in his last Rotary Club. Mike is also now a Director/Trustee of Burton Addiction Centre and a Trustee of Burton Transformation Trust. Allied to the support he gives to the YMCA (slept out for the 4th consecutive year this year) life is very full. 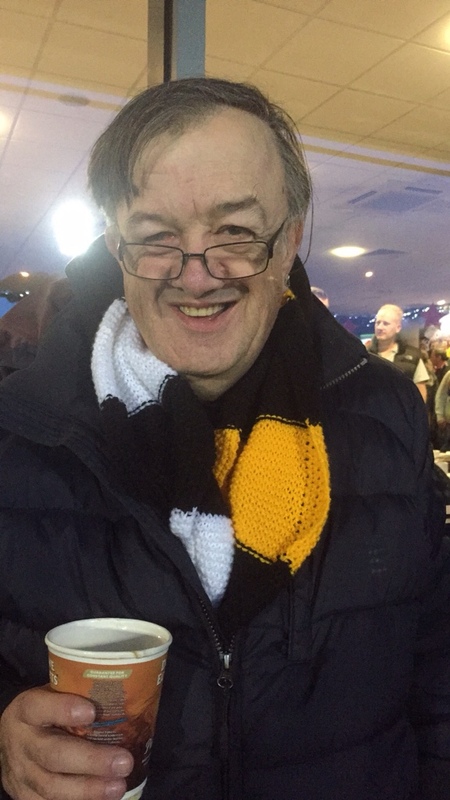 Photo taken at the recent Burton Albion vs Newcastle United match: notice the scarf with both teams colours on it ! The proudest memories of the year though centre on little Piper Connie Fox, our Grandchild, who is growing very fast. Now, just over 1 year old, she dominates our thinking and our lives. We have become very familiar with “In the night garden”, Upsy Daisy, Iggle piggle and the Ninky Nonk. If you don't understand any of this, then you're missing a treat 😂 It's great ! Vikki and Mark are furiously preparing the house in readiness for Christmas and then it'll be full scale ahead for their wedding next August, which we are all looking forward to. Rebecca and Michelle continue to enjoy life (& Piper) in their flat. They moved flats this year, all of several yards across the landing, but into a larger flat. This has meant that Michelle's Mum, Susan, and her Dad, Alfie, have been able to visit. It's been lovely getting to know them. Alison and Mike continue to feel very blessed by the family around them, and this year for the first time all 7 (+ a special friend, Judith) were able to holiday in Cornwall together. Special memories were created. We managed to make our annual trip to Romania to work in Poiana near Constanta. Having missed in 2015 Mike was especially pleased to be back. 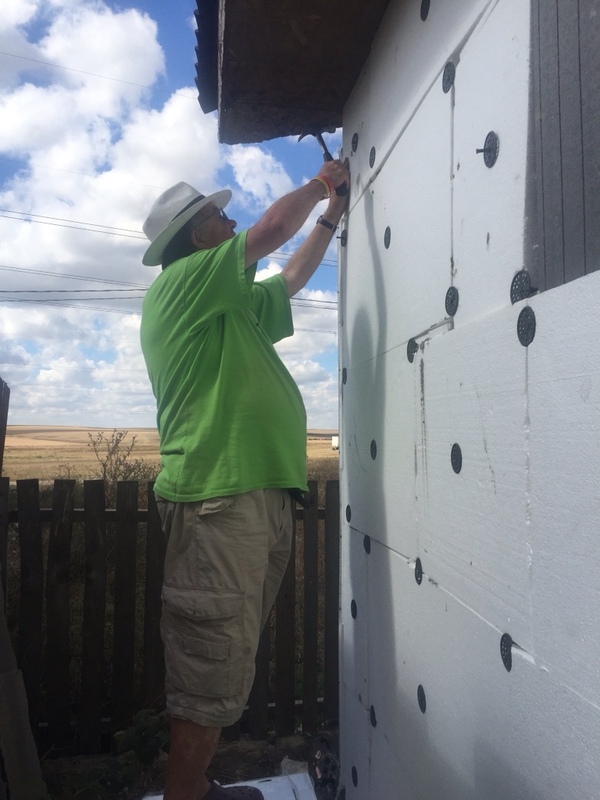 We were privileged to work with a team insulating a house, and running a children's club. Alison and I have really grown to love the people of the village and they top our prayers every day. 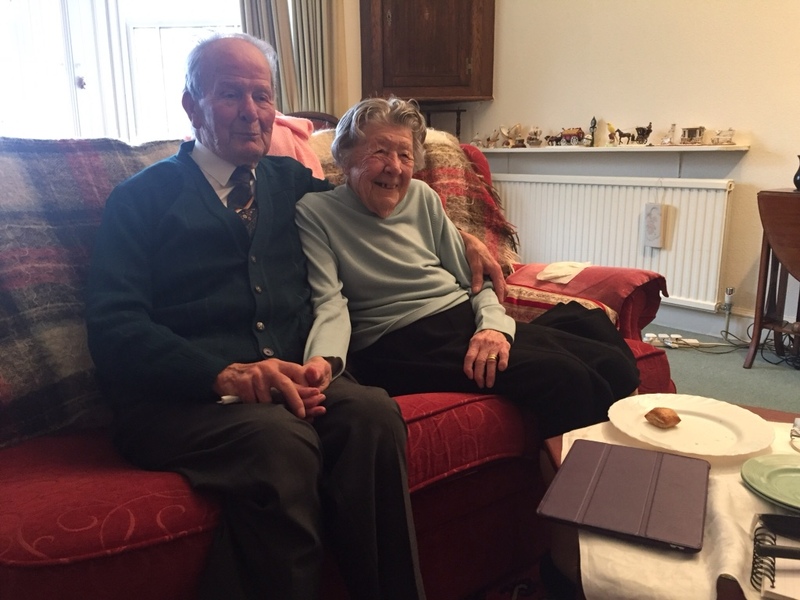 Alison's Mum and Mike's Dad continue to both do very well and considering they're both 88 years old we count ourselves very fortunate to have them both. Mike was recently able to take his Dad to just north of Brighton to have a few hours with his older sister, Anne. A trip full of memories and its hoped to repeat it in the new year. All in all, it's been a busy time but life is good and we're so grateful to the Lord for His blessings. We wish you all a very happy and peaceful Christmas and may 2017 bring you great joy. 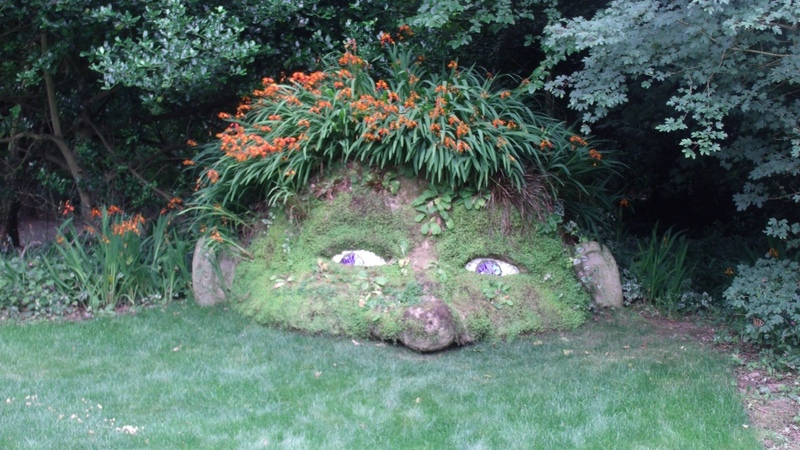 Just back from a couple of days away and then weekend working. On Thursday and Friday I travelled to just north of Brighton to take my father to see his older sister: the first time in several years, although they keep in touch by phone. It was a joy to see them sitting in her settee catching up on the news, like a couple of teenagers. Auntie Anne (& her husband Uncle Stanley) were always special as I grew up and whenever they came to visit it was an exciting occasion because to a small child growing up it felt like two important visitors were coming. I now know that they wouldn't have seen themselves as special in any way but to me it was always a great adventure meeting them and spending time with them. After all, they were from so far away; London !! It was a lovely visit as it gave me a chance to catch up with my cousins also, April and Douglas who I hadn't seen for many years. Memories shared, laughter and tears also. I do hope to go back in the Spring, with Alison. Then, just this afternoon I called in to see an older church member who'se husband is in hospital. As we chatted she shared about how her daughter was able to get each week (because of distance) but how her next door neighbours called in each day to make sure she's ok. “They're Muslims” she remarked in a matter-of-fact way. As I was leaving, the lady of next doors family called and I took the chance to thank her, to which she replied “As Muslims we're taught to look after our neighbours” and then she told me what a joy it was to have my church member as her friend. I love the current Amazon Christmas video of a Muslim and a Priest showing friendship by buying each other knee pads to help them at prayer times. Oh, hasten the day when all people can sit as close to each other as Dad and Auntie Anne did on her settee and simply talk with a sparkle in the eyes and the enjoyment of company.